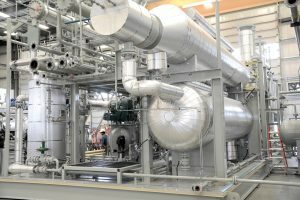 What do gas producers and their compression partners want most from their compression and processing systems? Both might say: efficiency. It’s a word that’s used constantly in the industry, but it can mean many things depending on your perspective. Paul Murray’s job is to bring these different perspectives into alignment. Murray explains that efficiency problems begin when two misunderstandings overlap. First, the equipment manufacturer might not fully understand what the producer wants that equipment to do. Second, the producer might not fully understand what their preferred set-up can and can’t do. Aligning these perspectives takes clear communication, operating experience and trust. Murray’s emphasis on availability – right up there with capital cost and production in the efficiency mix – comes from his belief that many manufacturers underestimate the impact of downtime. The producers might be willing to tolerate regular equipment adjustments and overuse of power or fuel gas, if the adjusted set-up works as needed, when it’s needed. When Compass is called in to investigate an efficiency issue, communication with the client is key. Murray will first seek to understand the production envelope, marketing strategy and cost structure the client has in mind. He’ll then evaluate the system that’s in place. If there’s a mismatch between production and cost goals and equipment capability, he’ll advise how best to improve efficiency. It’s all done with a goal of minimizing construction time and shutdown of existing equipment. What about cost? In Murray’s experience, time and money spent to boost efficiency while avoiding downtime lowers costs. Such gains are possible once the producer and the equipment provider are on the same page. To Murray, this is a powerful argument for producers to meet their equipment needs with an integrated supplier.